Steel, especially Pre-engineered Building System is emerging as a strong alternative to conventional concrete construction methods owing to its many benefits where foremost is its green attributes. Addressing almost all the parameters including durability, longevity, finishes, environment control, lifecycle, and speedy construction, PEBs have already hit the Indian construction market in a major way. With the rising opportunities in industrial corridors, 100 smart cities, rural development etc, the market is heading for exponential growth, reports, Ar. Himani Ahuja with support from MGS Architecture. Studies has already validated that India has the fastest growing market in the PEB's construction segment. Estimated to be close to Rs.5000 crore, PEB market is expected to grow by 15-20% per year. In times when the crusade for green construction is on with much vigour, PEB structures come to the forefront with a high proportion of recycled content. 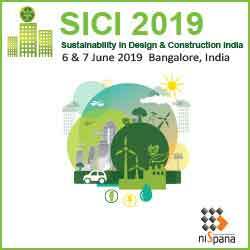 According to Mr. Gautam Suri, Founder Director, Interarch, "A structure is considered as Green if the design and construction material used significantly reduces or eliminates the negative impact of buildings on the environment and its occupants. Pre-engineered construction is inherently green products and has comparatively smaller impact on the environment in comparison to conventional brick and motor ones. The energy efficient methods used in producing the steel for Pre-engineered structures and the high recycled content help in substantially reducing greenhouse gas emission. It is indeed an environment-friendly and energy efficient construction technology." With its passion for sustainable construction methods, Trivenimet Fab Engineers believes in building a structure as cleverly as possible, without any wastage, while also ensures ways of conserving energy. Mr. Avinash Agarwal, MD, Trivenimet Fab Engineers says, "We're passionate about sustainable construction strategies and technologies, and want to make a distinct mark in the Green Building movement. The company is keen on exploring opportunities offered in the field of steel structures, for the material is one of the most sustainable among the currently available in the world. One of the sustainable features of steel is that it allows for longer span sections, and therefore, reduces material usage. Additionally, the lightness of steel also means reduced transportation, foundation, as well as labour costs. Structural steel systems are also able to carry the same amount of loads as other materials used in construction while being lighter." PEBs concept form a unique position in the construction industry in view of their being ideally suited to the needs of modern Engineering Industry. The growing scope of using PEBs ranges from industrial, commercial to residential buildings, multistories; stadiums, schools, exhibition centers to bridges, railway stations and metro applications, airport, power to ports and many more. 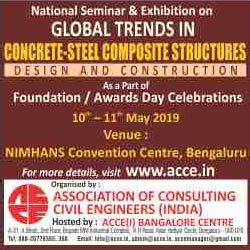 Taking notes of this, Mr. Suri, comments, "Steel construction has found wide acceptance over conventional methods in industrial and commercial sector. The perception shift in the residential space has also been started now. Moreover, the Indian pre-engineered consecution market is now experiencing a demand shift to new applications due to infrastructure development in the country like airports, multi-story buildings, stadiums, Metro Stations etc. The country will see increased economic growth, and the removal of barriers to foreign investment will "spur demand for construction" over the coming few years. There is undoubtedly, a very promising future for this sector in the coming years." Mentioning the advantages of Steel construction, he says, "Steel construction offers better designs along with greater safety than that offered by conventional construction types. It proves to be relevant and beneficial to several construction verticals offering longevity of structure lifespan. So for such obvious benefits, it has made its position stronger in the industry and has gained the mind share as well. Steel offers modern solutions to all building constructions along with the given benefits of eco-friendliness, recyclability, energy efficiency, Superior quality, durability, low maintenance besides aesthetics. A steel building does not look different from any other building when finished and works very well in the tropical environment." Mr. Agarwal agrees that the usage of steel and especially Pre-Engineered Steel Buildings (PEBs) is growing very rapidly in the Indian construction industry. Initially, PEBs were used in warehousing and they later became the preferred choice for industrial buildings. He added that the industry growth had been subdued in the last few years due to the economic slowdown and the then political conditions but with the formation of a stable government, improving investor sentiment, there has been a positive growth momentum in PEB. The industry growth is mainly dependent on the new government's economic revival plan which did propel companies to increase their capital expenditure in turn expediting growth in PEB Industry. Today, PEBs have wider applications in the industrial, infrastructure and institutional segments, with quality and design matching international standards. As per Mr. Manish Sanghi, Managing Director, Everest Industries, "The Pre-Engineered Steel Building concept is recognized to be the most versatile, fast and economical method of constructing buildings. The economy and the speed of delivery and erection of these buildings are unmatched in the construction industry. From a simple box industrial building, which was imported into India way back in 1997, to the present day mega projects that define innovation with precision and speed, PEB industry in India has indeed come a long way." Everest has recently delivered a 4.5 lac sq.ft structure in just 180 days and believes that this achievement would help in further increasing acceptability of Pre Engineered Buildings as a replacement to conventional forms of construction to build infrastructure in India going forward. The industry makers and contributors see the ever rising opportunities for PEB sector from Industrial Corridors, 100 smart cities, PM's call for Make in India which is expected to bring in lot of multinationals to set up their manufacturing base in the country. Moreover, the other good part is that 75% of the infrastructure that will be in place by 2050 doesn't exist today. This is a huge opportunity. The challenge is not for the architects, builders & the government to build a new smart city but to make the existing cities smarter. Mr. Agarwal says, "Our government initiative to implement "100 smart cities" and "Make in India" can be efficiently done using pre-engineered steel construction as done in developed countries, providing an affordable and sustainable material for construction." According to him, "the concept of a private smart city, which will be undertaken on 'Make in India' initiative, may open up gates for more private players to come forward with proposals to build similar cities across India. This would be a huge opportunity for PEB Manufacturing Units. The advantages of PEB concepts can be best utilized in the New Cities proposed by our PM, as the projects can be executed with the highest standard in Quality and speedy deliveries." Interarch too seems all geared up understanding the huge opportunities and puts stake on the accelerating pace of infrastructure development in the country in years to come. Stemming from the Pre-engineered buildings industry, what is taking shape is the application of pre-engineered construction to new Heavy Engineering and larger Infrastructure projects which is the next in line for development in the country. Projects like 100 smart cities, new no frill airports at various cities, International terminals, Industry corridors, power plants, ports etc. require heavy steel structures and a different approach in comparison to Pre-engineered buildings. Mr. Sanghi also sees huge potential in PEB sector and is well prepared to take the opportunity. According to him, "PEB industry is estimated to be close to Rs.5000 crore in India. With the great potential that Make in India brings to the industry, we estimate strong double digit growth for the industry to continue." According to Larry Stevens, Managing Director, Rapidset Buildings, "In India, most PEB projects are managed by Consultants who may be architects or engineers. They drive the project and are responsible for the architectural design, structural integrity, and costs. Not all consultants are well versed in the structural design aspects of PEBs." He explains, "Three main types of PEB manufacturers are serving the Indian market - the fully integrated global players with manufacturing facilities in India, domestic integrated manufacturers, and many small scale manufacturers who either own some sort of limited manufacturing facilities or get the components manufactured by third parties. Due to the fierce competition, the Indian PEB industry is primarily driven by cost. Consultants use a rule of thumb whereby the weight of the building is multiplied by a conversion factor that accounts for the price of steel and fabrication costs to arrive at the project cost. This approach favors the small non-integrated players who have low overheads and do not consider safety as their main priority. The integrated manufacturers are forced to match the lowest quoted price which is obtained by a dangerous practice known as "shaving" where a PEB manufacturer reduces the building weight by reducing the steel thickness, increasing bay spacing, widths, shapes or whatever is needed to get the sale. This practice compromises the building's design integrity, value and long term usability. The inherent risks of this practice must be understood. Essentially, shaving results in a substandard design that will not withstand the maximum design loads - a once in a lifetime event - and expose the Consultant or the Engineer of Record to liability and professional misconduct. I have seen this practice for reducing the price for pre-engineered metal building employed during final negotiations of selling a building to the consultant or end user. This risky practice must be curbed." Sharing his concern on the PEB standards, Mr. Agarwal says, "With the advancements and knowledge; PEB has come a long way in the country but we still don't have any specific PEB design code. While there is an Indian Code IS 800: 2007 for steel design, there is not a specific PEB design code. In such a scenario, he says, most organized players use the standards of AISC. More than the clients, it is the PEB manufacturers who specify the American codes in their bid which the clients accept as the quality standards. However, using codes of two different countries, it is becoming a mean to suit one's requirement or convenience, which is not a good engineering practice. The government must set the design code as a priority which will control this stiff competition and unhealthy practices. This will be the move towards making steel a green building material. Steel is the preferred material for all Prefab structures and PEB use steel which is more than 90% recyclable. With healthy governed practices, steel can be a sustainable green building material." On the present day cut-throat competition among PEB manufacturers, where pricing overweighs the design considerations, Mr. Suri says "Interach follows a very transparent system and always works towards customer satisfaction and on-time projects delivery. It is the only company in India to provide turnkey solutions with a certified builder's network of more than 60 certified builders across India. People, he says, have realized that cheap does not always mean the best and now the consumers are getting ahead of the price sensitive market and are considering companies providing better and quality product." Mr. Agarwal says, "With the entry of many local fabricators in the PEB Manufacturing Industry, supply has exceeded demand leading to unhealthy price competition. In addition to this with the limited number of projects under finalization, the industry is going through tough times leading to very stiff competition in the market. Local fabricators offer much lower rate as compared to established manufacturing units, because of the obvious low Capex, and quality consciousness. Trivenimet Fab Engineers maintain their position insisting on reasonable and healthy margins, explaining in each negotiation with building owners, that quality comes with a certain price, compromising that is compromising quality. Aiding the environment, Interarch does undertake programs to increase the awareness about PEBs by releasing monthly newsletters and email campaigns to relevant target audience & taking part in seminars on similar guidelines. Most interestingly, executes Building Innovators forum for knowledge leaders and innovators of the steel buildings community of India at various cities across the year and conducts Young Builder Program at various Engineering and architecture colleges educating young Architects & Engineers about the Indian Pre-Engineered Steel Industry with applications & nomenclature of Metal buildings. With the awareness and consciousness increasing amongst customers on reducing carbon footprint, Trivenimet team is working on the green parameters of buildings - which includes solar panels on roof, meeting Solar Reflectivity Index requirements of the roof from a green building perspective, and portability of rain water harvested from run of roof and walls sheets. Interarch is one of India's leading turnkey pre-engineered metal building & steel construction companies today and has been in the business of metal building products for the last 30 years. The company has expertise in integrated design, manufacturing & supply, and turnkey execution of pre-engineered metal buildings and steel construction solutions. It has over 6000 completed projects for various construction sectors like industrial, Automotive, Agro, Textile, Pharma, Warehouding, Infrastructure, Retail, and Airport Terminal spaces in India. Highlighting the strength of Trivenimet Fab Engineers, Mr. Agarwal says, "Traditionally, PEB industry wanted to portray itself as a manufacturing industry, whereby its role was limited to design and manufacture of pre-engineered buildings. PEB manufacturers did not aspire to venture into erection of their buildings and had limited their role to only supervising/advising correct erection. However, as the customer's gained knowledge and competition grew, customers started demanding complete solution from the PEB industry and wanted them to be responsible right from designing to erection of the buildings. This is where Trivenimet Fab Engineers made its mark; by providing complete solutions and with every demand of customer, they are willing to look into further avenues, their strength and USP is expanding to cater to every client requirement. Trivenimet has been involved in a number of projects in the recent past which include Conveyor Support Structure at ITC -Malur and in progress projects including India's largest Single location Box Manufacturing Plant in Tamil Nadu and multiple Projects ranging from 20,000 to 100,000 sq.ft in the Granite, Warehousing, and Steel Industry." The Everest Pre-Engineered Steel Buildings also made its mark in the sector and has already completed more than 1500 PEB projects covering more than 5 cr sq.ft of construction across 275 cities in 29 states in India. It is now over two decades when PEB has been introduced in India. There has been progression, and challenges that are being confronted successfully. The concept has been gaining momentum and the scope of growth is guaranteed looking at India's huge infrastructural requirements. The Increased awareness by consultants, specifiers, and building owners in understanding a uniform value for minimum structural standards is critical to the future of safe PEBs in India.